It may seem surprising that Norwaya deeply feminist countryhas never had a major survey addressing the impact of second-wave feminism on its art production. 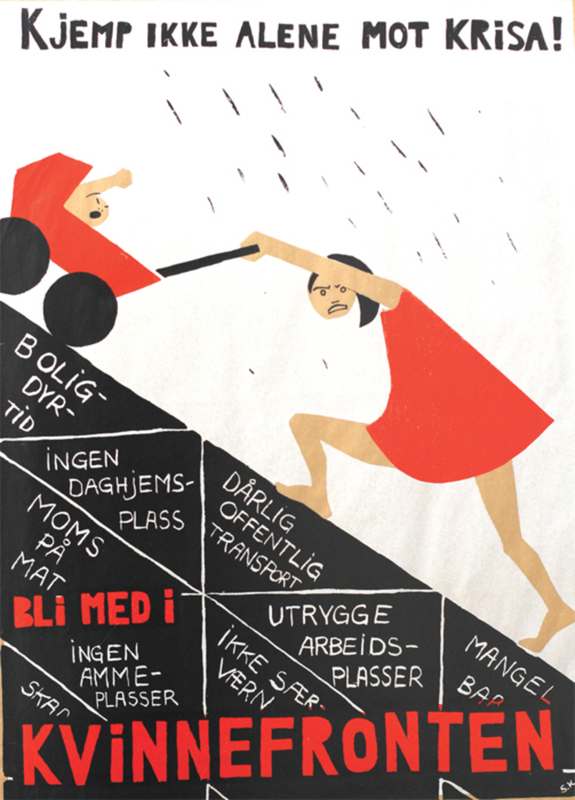 Yet it is perhaps fortuitous that this exhibition on just that subject is happening at a moment when antifeminist sentiment in the Norwegian public sphere seems to be increasing and actual knowledge about the movement’s diverse positions is fading. With a title that defies translation (literally, “hold on to your thing”), this show will span thirty years, zooming in on the new art that emerged with the formal liberation of the 1960s’ avant-garde, the post-’68 turn toward activism and self-organization, and the rising sense of disenchantment with “standard” feminist rhetoric. Major exhibition projects and installations will be revisited (and in some cases reconstructed) and shown alongside materials documenting the close interaction between political discourse and artistic invention.